2017 was another great year for Simply Waste Solutions. It saw some fantastic growth in many areas of the business including; increased workforce, large investment in vehicles and equipment, a positive growth in food and glass recycling collections all whilst maintaining a 99+% service success rate. 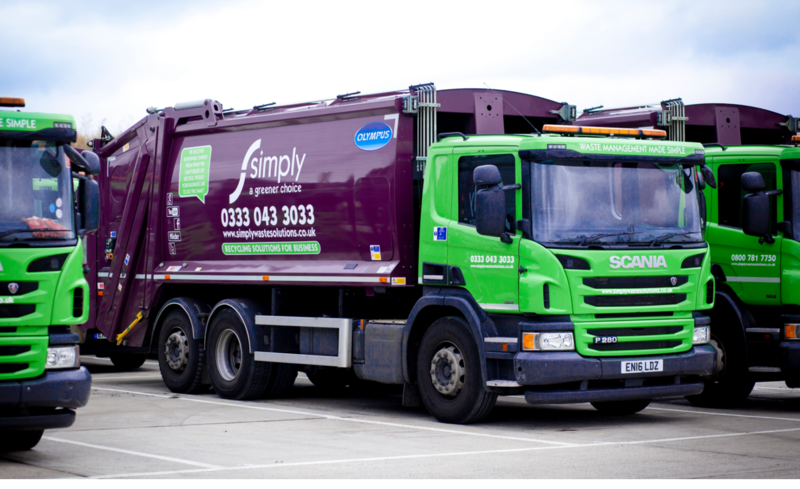 Simply Waste has seen site visits nearly triple, but that’s no surprise with over £2 million being invested into vehicles and equipment such as the articulated lorry for baled recycling collections, bespoke Simply Cups van and Weighbridge installation at the West London depot. There has also been significant investment in employees with a 20% increase in driver workforce, along with the introduction of the new ‘Driver Training Academy’ and various rewards and competitions throughout the year including one of our drivers placing a fantastic third in the Freight Transport Association (FTA) Driver of the Year 2017 competition, 18-Tonne division. Simply Waste also had the great pleasure of being included in the prestigious ‘1000 Companies to Inspire Europe’ report. Compiled by the London Stock Exchange it is a celebration of high-growth and dynamic small and medium sized businesses across Europe. Only 20 of which were from Environmental Services. Throughout 2018 and many more years to come Simply Waste will continue to offer a reliable and professional service with a focus on raising recycling figures and contributing to the circular economy.